6 V, 4.5 Ah. to 5 Ah. 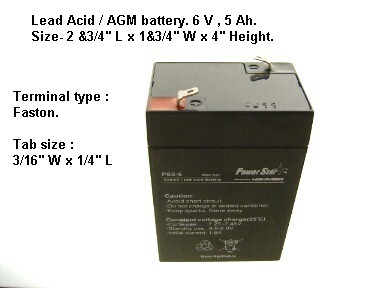 Lead Acid / AGM battery , emergency light, computer up computer battery.